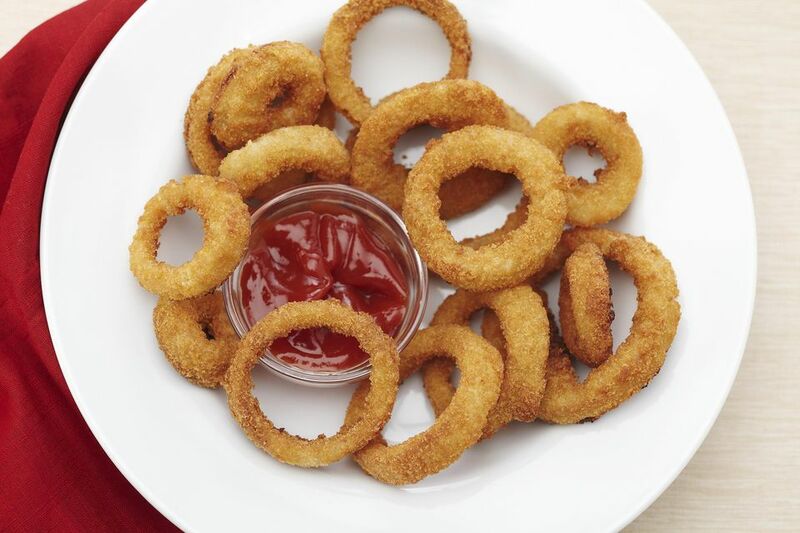 These oven-fried onion rings are low fat, crisp, and so easy. Why bother with all the mess frying onion rings when this baked version works so well? The secret to this onion ring recipe is the "Panko," Japanese-style breadcrumbs, which give the rings a light, crunchy texture. Whisk the egg whites, milk and cayenne together in a shallow bowl. Spread the breadcrumbs in a shallow baking dish. Add the onion rings to a large mixing bowl, sprinkle with the flour, and toss to coat thoroughly. Working in batches, dip the floured onion rings first into the egg mixture and then into the breadcrumbs to coat completely. Lightly coat the onion rings with cooking spray. Bake for 12 to 15 minutes, or until golden-brown and crisp around the edges.